HURRY - ONLY Valid for Examination appointments and estimates that are given in Smile Month May 15th 2019 to 15th June 2019 for Special offers. We really believe even just the Special Offers 1 & 2 combined, are unbeatably good value for our high-quality & gentle dental expertise too! Please note - 0% interest-free credit is available for treatments over £600, including these Special offers! Please remember these Special Offers below are really very Special, because Dr.Kilcoyne is a fully trained and qualified UK Dental Specialist* (London, Leeds, Sheffield) in all the Technical & Cosmetic aspects of Crowns, Veneers, Lumineers, Bridges, Implants, mini Implants, Bonding, rebuilding, replacing and reshaping teeth (*Prosthodontics) to Improve Your Smile, Bite and Comfort too. Whether from nearby Leeds, Bradford or even London Harley Street, you can directly access our Specialist Dental Expertise, additional Qualifications and reliable Reputation by coming to the SmileSpecialist® Centre, Haworth (between Leeds and Manchester), Bradford, near Halifax and Skipton, West Yorkshire. For Value and Experience in such complex or demanding high-tech Specialist and Cosmetic Dentistry options for you. With over 30 years of reliability and expertise, 1000's of patients have travelled near and far to Access our Specialist services and cosmetic skills, because they feel they are worth it! Book a detailed Cosmetic or Implant Examination and we will refund/credit the cost of this against the cost of the advised Dental Treatment you have with us, from the Estimate and Treatment Plan you will have at that visit, when completed fully, for values above £500 - in effect your detailed examination becomes free if you choose to benefit from our Specialist expertise and advised treatment plan! This is simply an UNBEATABLE Offer when combined with Offer No.2 below - and you get Dr.Kilcoyne's Specialist Opinion and Expert recommendations! WE WILL BEAT ANY genuine Dental Quote you have been given in the UK for advanced dental treatment options IF that dental treatment plan treats ALL your dental needs & wishes (Health & Cosmetic & Comprehensive) in the short and longer-term at the SPECIALIST QUALITY of materials and techniques we typically use, following the latest Professional Guidance and Standards in the UK. You will still require a comprehensive examination first (NOTE: full cosmetic examination or an Implant Assessment costing £175 now just £55) and if we agree overall with both the planning & treatment quality and the complete-plan price is still cheaper than ours, we will beat it, 100% guaranteed (terms and conditions apply). You will also get your Cosmetic or Implant Assessment Fee credited when you go ahead with all the treatment! Just look at the example above, shown on the left on the actual model, so you can compare things in the mouth even with the lips fully retracted, see how our front Cosmetic Ceramic Crowns and tooth-Coloured clasps and even the gum-work of the denture back teeth, has been made to match natural features whilst still looking nice in the mouth - it's this kind of planning and attention to detail that we have a good reputation for. Please remember that VALUE long-term is SO MUCH MORE than about price alone - Value and Quality are the Smart way because you'll still want your teeth looking good and lasting many years (possibly even for life) long after we have come out of the EU! For Smile Makeovers started that involve 12x Teeth to improve your Smile, get the other Teeth Whitened FREE, so everything looks good too! This is a £600+ value! For ALL Tooth Implant cases started, get your NEXT 2 Hygiene Cleaning maintenance visits completely FREE, so you can protect the health of your investment in replacing those missing teeth. This is a £300+ value and helps your natural teeth stay healthy too! Dr.Kilcoyne occasionally needs patients to Volunteer to be 'Teaching Patients' for the groups of Dentists, Dental Care Professionals and Specialists he is involved with teaching more advanced and specialist techniques to, from around the UK. If after a paid for Cosmetic or Implant Assessment you are a suitable teaching case AND willing to spend the extra time, have photos & videos done for promotional purposes, as well as demonstrate your treatments in front of other Dental Professionals who wish to improve their Skills and treatments options to their patients too, then you can receive at least 50% OFF the costs of those actual dental treatments used for teaching, even including advanced options like Dental Tooth Implants, FastBraces, Full Mouth Oral rehabilitations with Crowns/Bridges/Veneers, Tooth Whitening treatments etc, potentially saving £££thousands overall, whilst getting high-quality treatment from a well respected Specialist* like Dr.Kilcoyne AND actually helping other dentists and their dental teams to learn more by advancing their knowledge and skills for their patients too. For FastBraces®s which often can quickly improve smiles in as little as 3-12 months (some traditional brace cases can take 2 years+), you can have a FREE same-day Tooth Whitening treatment to improve the colour of your straightened teeth, once the FastBraces® have been removed from your straightened teeth, OR you can have another set of free retainers at the end of treatment too - either option is a £600+ value and FANTASTIC when combined with Special offer No.9 too! For every patient that has multiple Crowns to restore your bite due to excessive Wear, fractures, grinding or clenching in their sleep, get a FREE anti-grinding appliance (value £495) which will help protect you from Self-Destructive habits, chipping and damage. For mini-Implants get Two for the price of One normal larger implant, for where there isn't enough bone for a standard-sized implant and you don't want to go through more extensive bone-grafting Surgery and two (or four etc.) mini-implants would be a reasonable clinical solution instead, such as when you have very narrow ridges. For FastBraces® which can straighten adult front teeth in as little as 3-12 months, paid for in full by the special dental offer dates above, you can get a 20% discount on our still good value price of £3975.00 so..... for just £3180 you can have Upper and Lower FastBraces and with offer number 6 above combined, effectively get another set or Retainers (wire plus removable retainers or 2 sets of removabe retainers) at the end of treatment included, a whopping additional £600+ value !! November is normally Oral Cancer Awareness month and whilst we do routinely offer oral cancer and oral health checks as part of ALL our comprehensive examinations for all our patients, it is STILL a sad fact of life that some people are put-off from seeing a Dentist due to the cost of a thorough examination and dental check-up, or other reasons like embarrassment, which can cause dental problems to develop more than they otherwise would but worst of all Oral Cancer now kills more people than Cervical cancer and Prostate cancer combined together, every year! However, the good news is, like all dental diseases including Oral Cancer, early diagnosis and treatments mean a better than 90% success & survival rate. So it is more important than ever to have regular check-ups for your teeth, your gums, your implants and the whole mouth for any lumps, bumps, white patches or even Oral Cancer too. Following the excellent feedback and success of our Free Oral Cancer checks during the month of November in 2018, we have decided to continue to offer FREE Oral Cancer checks for non-patients every Wednesday from 5th November to 7th Dec 2019, between 12 pm to 2 pm, but you will still need to call and make an appointment as we envisage these being VERY popular indeed. Please ask Reception for a FREE Oral Cancer Check on a Wednesday during November Oral Cancer awareness month - Whilst this Free Oral Cancer check cannot be a comprehensive examination for any other dental problems (a separate appointment will be required if wished), we will check your Cheeks, Palate, Floor of Mouth, Underneath and sides of Tongue, back of throat etc. and give you free information on how to reduce your future risk factors for Oral Cancer too, which sadly is still on the increase even amongst the young in the population also. 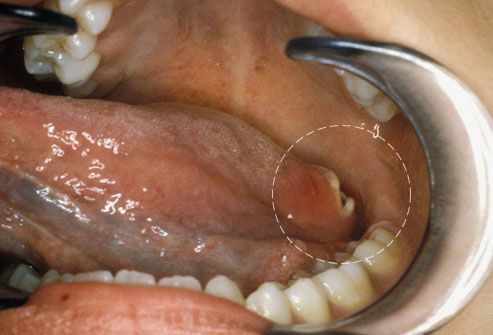 So for your FREE Oral Cancer check, if you missed last November, please call 01535-644005 and make an appointment for 12-2pm any Wednesday in November 2019 - it may even save your life! Please be assured that whilst we make these Special offers, we do not cut our prices by cutting the quality of our materials or techniques or the time and expertise it takes to both plan and delivers high-quality options using high-tech. systems that are equivalent to keyhole Surgery in your body. Dr.Kilcoyne's Specialist Expertise and over 30 years of great reputation, provides excellent value overall in the long run! We are a 100% Private Dental Practice only and we accept patients by Dentist, DCP or self-referral too. HOWEVER, here at the SmileSpecialist Centre because we are a 100% Private Dentist, which simply means YOU totally fund and are central to our time and our expertise, then you can be assured that there are no System compromises or Targets & restrictions imposed externally upon your dental care! Worried about Cheap Dentistry Abroad Dangers? Then click on Dangers of Cheap Dentistry Abroad for further information and warnings. Remember that your dental health and teeth are NOT disposable like some cheap Jewellery bought abroad, that looked OK initially and seemed like a 'bargain', but then you found out it wasn't even a good fake as it made you allergic through impurities or tarnished later etc. Your Smile says a lot about you to others, and we can help you "maximise" that first Impression Socially and in Business life - you don't have to be a TV star to have a star smile - why not make that first Cosmetic Assessment find out how? Interestingly, it isn't just Women who are Smile conscious cosmetically these days, here are some male examples below where clearly the Smile is a very important aspect of how we appear to others Socially, as well as how we feel about ourselves from a self-confidence point of view. but the quality of work you can't see underneath too! Please remember that ANY Cosmetic Dentistry is TEMPORARY and will ALWAYS need doing again - of course, the better it is done initially AND the better YOU take care of it, then the longer it will last, so please be very aware that cheaper prices initially may NOT be the best value longer-term. Think of it like a car - it WILL need replacing eventually, but the better it is made, the better the materials used and the better it is maintained afterward by YOU, the longer it will last and the longer it will still look good too. However unlike cars which are eventually scrapped and a newer & better one is paid for to replace it, if you end up scrapping your teeth the usual dental alternatives (with the exception of tooth Implants) are usually worse than the healthy teeth you had, so it's downhill from there !!! So if the choice was you can have one car only, but it has to last for life, I suspect more people would be choosing BMWs and Mercedes first, rather than Fords, then looking after them better and more regularly too - so it is similarly with Teeth and Dental health, making the right choices first time makes a BIG difference longer-term for life! Thus IF enough teeth are going to be around for life (possibly until you are 90 years old?) so you can eat and smile normally (do you really want to be struggling and miserable with no teeth and loose dentures in your last 20+ years of life?) then it is important that the Dentistry that you have, is done to the HIGHEST standards first time around, so when Crowns or Veneers or Bridges etc. need replacing, the good-tooth foundations underneath are still healthy and strong enough to carry a replacement set of Crowns etc, because the best skills of the Dentist AND you having regular professional dental cleanings and brushing/flossing as instructed, ensures for the majority of people they get much fewer complications, less decay, gum diseases or other problems that may have compromised those teeth for future use. The Quality Development Award (QDA) was judged by the British Dental Journal, Denplan and Colgate, with Dr.Kilcoyne's Practice winning this prestigious National award for the Quality of his patient services, yet we continue to improve our reputation further still. We hope you have found the information as well as our Special offers useful - you can continue to use the above website menu or just click-a-link here for Specialist or Advanced information about the latest aspects of Cosmetic Dentistry, Tooth Veneers, Tooth Whitening, Dental Tooth Implants and smaller Mini-Implants, Dental Ceramic Crowns, Gum Diseases and Bad Breath, Root Canal treatments or Dental Professionals CPD Courses, are just some of the subjects you can learn more about here on our award winning dental website www.smilespecialist.co.uk. *Dr.Kilcoyne is a UK registered Specialist in Prosthodontics (GDC No.58373) which includes The Functional and Cosmetic Dentistry aspects of Crowns, Dental Implants, Bridges, Veneers, Fillings, Dentures, Bonding etc. Please go to our MAKE an APPOINTMENT page if you'd like to access his Expertise. Thank You.